As a rising young politician from New York, Franklin D. Roosevelt was stricken with polio in 1921. After being completely paralyzed for a period of time, he remained permanently confined to a wheelchair but did not give up his dreams of a political career. In 1928, he was elected governor of New York, and four years later he won the Democratic nomination for president. In the general election, Roosevelt received some 23 million popular votes, compared with only 16 million for the Republican incumbent, Herbert Hoover. Did you know? 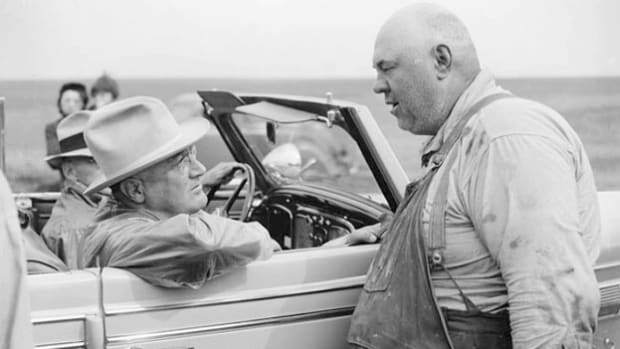 Though he worked with speechwriters, Roosevelt took an active role in creating the chats, dictating early drafts and reading aloud revisions until he had almost memorized the text. He was said to be fond of ad-libbing, explaining why official versions of his speeches often vary from the actual recorded version. 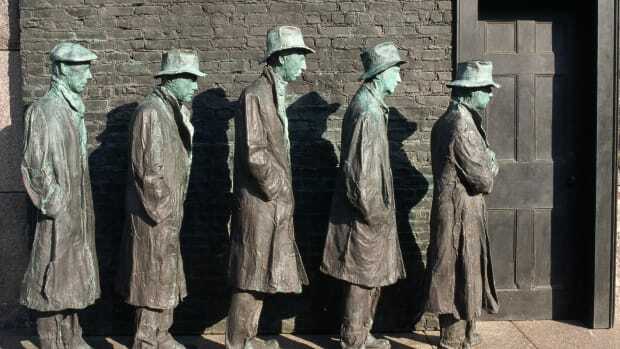 By the time Roosevelt took office in early March 1933, the Great Depression had spread across the globe, and America’s economy had declined to desperate levels, with banks in failure, industrial production crippled and more than 13 million people unemployed. 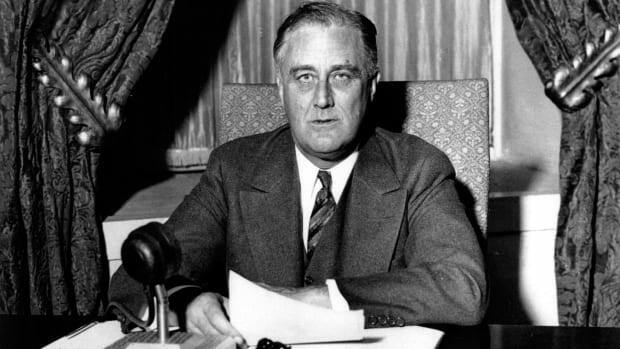 In his first inaugural address, Roosevelt sought to impart a new sense of confidence for the struggling nation, declaring that “the only thing we have to fear is fear itself.” During its first several months, famously labeled “The Hundred Days,” Roosevelt’s administration presented a broad array of measures to Congress aimed at jumpstarting America’s economic recovery–these would become the building blocks of his revolutionary New Deal. One of his earliest actions as president was to declare a “bank holiday,” or a period during which all banks would be closed until they were determined to be solvent through federal inspection. 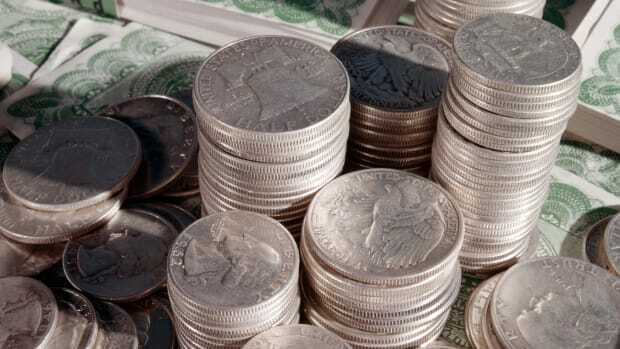 In combination with the bank holiday, Roosevelt called on Congress to come up with new emergency banking legislation to further aid the ailing financial institutions of America. 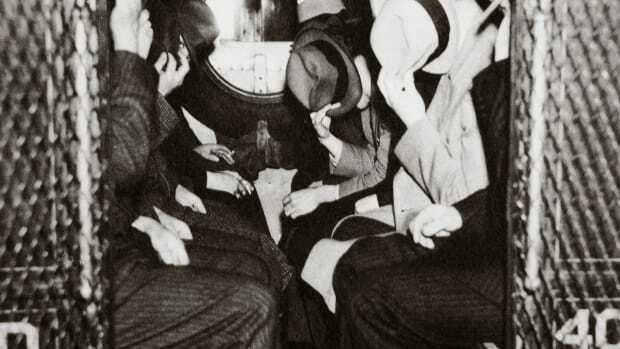 On March 12, 1933, he took one more important step, delivering a relatively informal address on the banking crisis that would be broadcast over the radio. 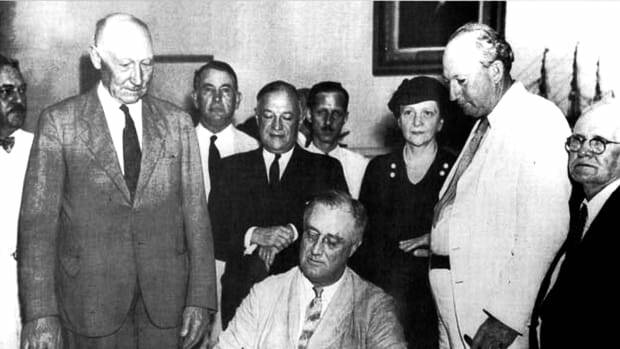 In that first speech, Roosevelt praised the “fortitude and good temper with which everybody [accepted] the hardships of the banking holiday.” The holiday, as well as the radio address, seemed to have the intended effect: When the banks opened again, the panicked “bank runs” that people had feared did not materialize, showing that public confidence had been restored in some measure for the time being. 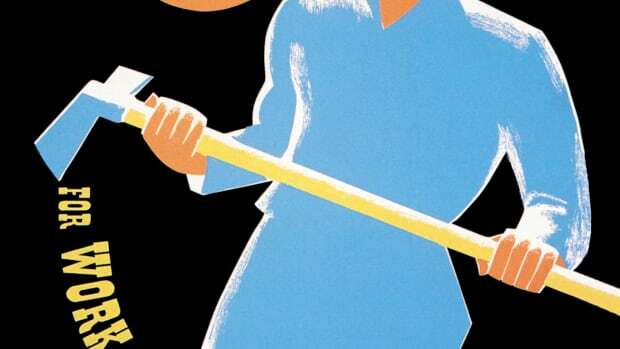 During the 1930s, well before the advent of television, some 90 percent of American households owned a radio. 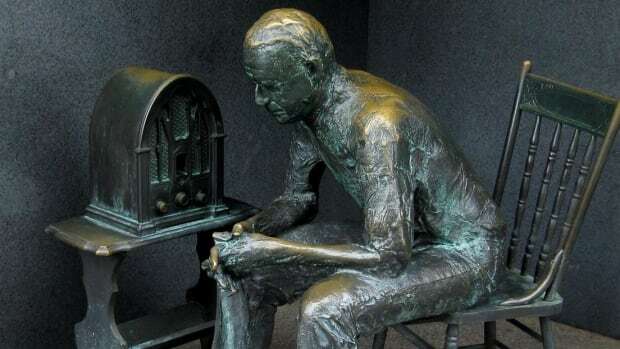 Seeing the potential of mass media to communicate directly and intimately with the public, Roosevelt would give around 30 total radio addresses from March 1933 to June 1944. 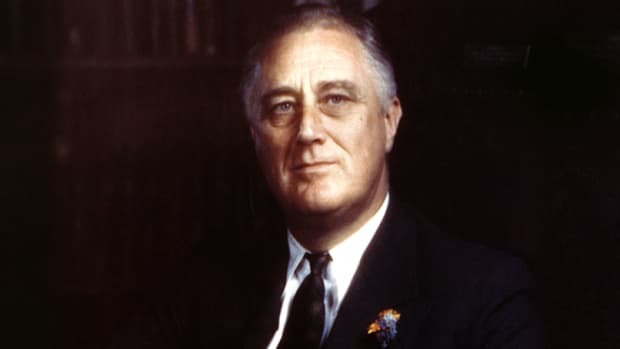 The topics he spoke about ranged from domestic issues such as the economic policies of the New Deal, drought and unemployment, to Europe’s battle with fascism and American military progress in Europe and in the Pacific during World War II. Roosevelt was not actually sitting beside a fireplace when he delivered the speeches, but behind a microphone-covered desk in the White House. Reporter Harry Butcher of CBS coined the term “fireside chat” in a press release before one of Roosevelt’s speeches on May 7, 1933. The name stuck, as it perfectly evoked the comforting intent behind Roosevelt’s words, as well as their informal, conversational tone. 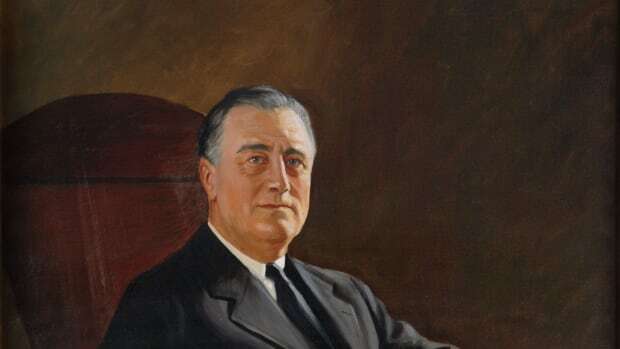 Roosevelt took care to use the simplest possible language, concrete examples and analogies in the fireside chats, so as to be clearly understood by the largest number of Americans. He began many of the nighttime chats with the greeting “My friends,” and referred to himself as “I” and the American people as “you” as if addressing his listeners directly and personally. In many of the speeches, Roosevelt invoked memories of the Founding Fathers, Abraham Lincoln or other inspirational figures from America’s past. “The Star Spangled Banner” was played after each chat ended, underlining that patriotic message. Finally, the president appealed to God or Providence at the end of almost every speech, urging the American people to face the difficult tasks ahead with patience, understanding and faith. 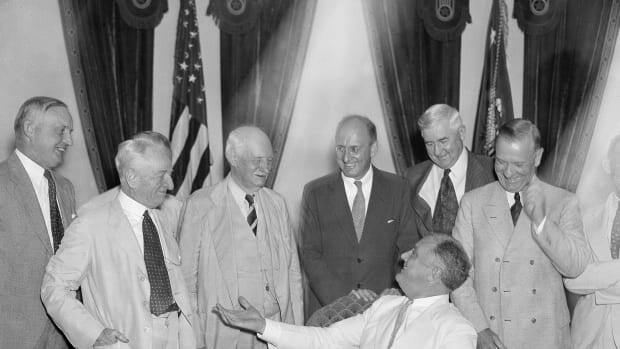 Through depression and war, the reassuring nature of the fireside chats boosted the public’s confidence (and Roosevelt’s approval rates) and undoubtedly contributed to his unprecedented number of election wins.